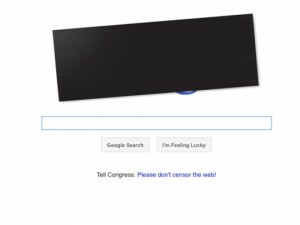 Teenagers are always looking for ways to listen to music – from torrenting music off of illegal peer-to-peer sharing websites, like The Pirate Bay, to downloading music off of Youtube, with websites like www.youtube-mp3.org. But in recent years, the music industry had been changed by possibly the best legal music player available, called Spotify. Spotify is a free music app that can be downloaded for Windows, Mac, and even a Linux version, which is good for Penn Manor students, considering that our laptops run off of Linux. You can download Spotify onto your laptop by visiting the website, spotify.com. Using Spotify, users can create playlists, follow favorite artists and friends to get recent activity, listen to Spotify Radio, and much more. Spotify users can either use the app for free with restrictions, pay $5 per month with fewer restrictions, or pay $10 per month with no restrictions. Some of these restrictions are listening with advertisements, only being able to play playlists on shuffle mode, not having access to Spotify Radio, and not being able to sync songs with iTunes. Spotify has gained much success around the world in the past few years. In 2013, there were over 24 million active users, six million of which were paying subscribers. Also, Spotify pulled in over $1 billion dollars since its inception in 2008, and employs over 1,200 people worldwide. It has over 20 millions songs available at your fingertips, and over 20,000 songs are being released every day. Basically, Spotify is a combination of Twitter, iTunes, and Pandora. Users can create playlists that other users can “follow” and listen to, and they can follow other users’ profiles. You can also see what your favorite artists are listening to. It’s basically a music-oriented social media website. Personally, I think Spotify is the best music player right now. I have used Spotify Premium for a few months now, and it is definitely my favorite music player. I’m actually listening to Spotify as I type this article. With iTunes, you must pay for every song you want. With Spotify, any song you want to listen to is available with a quick search. It is what I use to listen to music all the time, and many of my friends do as well. If you’re wondering, you can’t just buy Premium and share your username and password with all of your friends. Only one device on a profile can listen at one time. Overall, if you’re looking for a better way to listen to music, you have to try Spotify. I would definitely suggest it. A chart showing what you can and can’t do with two different versions of Spotify. Image provided by Spotify. Apple’s new update, iOS 7, was launched in mid September to mixed reviews from Apple product consumers. 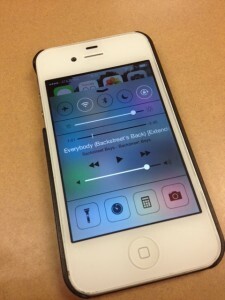 Many of the new updates and features include a control screen that can be accessed by swiping upwards from any screen. The control screen was added to make multitasking easier for the user, as it contains options to change the screens orientation, turn on or off Wifi and Bluetooth, and find things in the dark with the new flashlight. The Airdrop options, which can be accessed by swiping down from any screen, houses a calendar and missed alerts from texts and apps. For more information on all the new changes and features, Apple’s website highlights everything iOS 7 gives its consumers, http://www.apple.com/ios/whats-new/. Already many people have scrambled to download the update, only to be met with a loading bar that gives a waiting time anywhere from 30 minutes to 6 hours. Students at Penn Manor High School went crazy trying to install and download the update while in school. Many students complained about how long the process took even when they were hooked up to their home Wifi. More complaints and compliments were to follow. 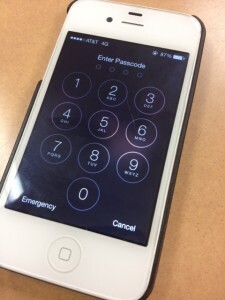 “The way the update looks, especially the lock screen, looks neat.” said Courtney Mann, a senior at Penn Manor High School who owns an iPhone 4S. Trimble goes on to say she’s not a fan of how, “not everyone can get it (the update) if they have an older brand of Apple products,” which she doesn’t find fair. What Trimble said is true, the iOS 7 update is only available for the fourth and fifth generation ipad, the ipad 2, ipad mini, fifth generation ipod, the iphone 4 and 4s, and the iphone 5. The update will come pre-installed with the iphone 5s and 5c. Many consumers have complained about motion sickness with the new visual effects that came with iOS 7. What this means is, when the screen is tilted left or right, up or down, the apps and the background picture automatically adjust to this movement. This feature can be turned off in the settings under general, then accessibility. Shutting off this feature will also save battery life. Along with a longer battery life, pictures will also be easier to reposition for backgrounds and lock screens when this feature is switched off. One thing Mann said she liked was how the control panel (which can be accessed with a swipe upwards from any screen) makes things like accessing the flashlight, clock, calculator, screen orientation and brightness, easier. Mann does not, however, like the new iTunes radio feature. In the music app there is an option for listeners to select certain genres or bands they wish to hear more music from, with options to like/dislike a song and adds after every few songs. Beware though, this service does take cellular data. Mann compared this feature’s functions to that of Pandora, a free app on iTunes that lets consumers control what they listen to. Two additional updates have been put out to fix any bugs with the iOS 7 update. 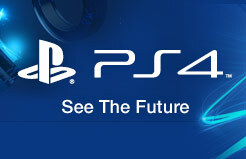 Sony announced the Playstation 4 at a recent press conference, but did not release any photos of the new system. When Andrew House, president and group chief executive of Sony Computer Entertainment Inc. came on the stage, it was no secret what he was there for. House was unveiling the Playstation 4, the latest in the line of PS gaming systems. But the press conference itself is leaving many with more questions than answers. “I’m glad they’re building a new console after eight years. The hardware’s starting to look pretty old,” said Penn Manor senior Caleb Bolinger. 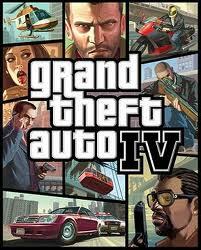 The game will be available by Christmas 2013, but no concrete release date has been announced yet. The press conference also failed to include pictures of the PS4, though the changes to the standard Playstation controller were highlighted. These include a touchscreen, a blue LED light which is advertised to match your onscreen character, and a share button. The “Start” and “Select” buttons typically found in the center of the controller have been combined into a single “Options” button. However, the old Dualshock controllers used by the PS3 will not be compatible by the PS4. The share button goes along with Sony’s plan to make gaming a more social experience. Video capture will be made easier with the PS4, and live streaming will attempt to make videogames similar to a spectator sport. 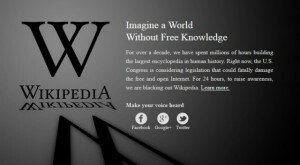 “I think the share button’s pretty gimmicky,” said Bolinger. Sony also gave short presentations on some of the games that will be available with the PS4 launch, which included Killzone: Shadow Fall, Destiny (from the creators of Halo), and Driveclub. This is behind the current top gaming computers, but the difference is that while gaming computers become outdated quickly, consoles last for years. The Playstation 3 was put on shelves in November 2006, almost 8 years ago, and top titles are still being released on a regular basis like Beyond Two Souls, a motion capture game starring actress Ellen Paige. When the PS3 was unveiled in 2006, SCE America head Kaz Hirai said, “The PlayStation 3 is going to be a console that’s going to be with you again for 10 years.” This will not be far from the truth by the time PS4 is released later this year. Another highlight of the Sony press conference is the application of the cloud. Last year Sony paid $380 million for cloud based distribution company Gaikai. Gaikai CEO David Perry stated at the press conference that Sony was working on cloud based distribution for all their upcoming titles. The user will download the game from the cloud, and then play the full game as the rest is still downloading. No wait times, no demos. This may play into the market currently held by the cloud based distributor Stream, a realm over which it currently reigns supreme. EA attempted to topple it with Origin to no avail, but now Sony seems to want to get into the cloud action. “Try for free and buy only the games you really love,” said Perry. The PS4 will be here by this holiday season, but there is no word on pricing or of what the actual console will look like. 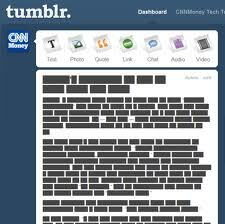 Don’t worry — If it’s anything like its predecessors, it’ll just be a black box. Hard work has paid off. 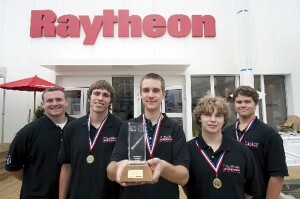 The Penn Manor Rocket Club has been invited once again to the 2012 national competition. The tenth Annual National Rocket Competition will be held May 12 in Manassas, Va.
Out of 680 teams across the country, 100 were chosen to participate in the competition, and six out of seven teams from Penn Manor made it. In fact, two of those six teams are middle school teams. “I am always nervous [when going to nationals] but I’m definitely excited because it is the pinnacle of the rocket season. These kids have worked very hard all year long and deserve a shot at the National Title,” said Brian Osmolinski, head adviser of the club. The club has been established for ten years, and has made it to nationals each year. In 2010, the team even made it to the international competition, beating teams from England and France. However, since the team did not make it to the international competition last year, one club member said she feels the club has been “forgotten” by the school and public. “I wouldn’t say we’ve been forgotten. The chances of us going to internationals is very small, it’s an honor to go to nationals. It’s something to be proud of,” said Mark Raymond, a four year rocket club member. Before Raymond joined the club as a freshmen, he had experience building rockets as a boy scout. “It was fun [building rockets] so I tried it in high school, and I liked it,” said Raymond. Having fun is the main goal Osmolinski tries to instill within his program. “My initial goals [for the club] were to have teams of students cooperatively build rockets for this competition, learn how rocketry works, and have fun doing it,” said Osmolinski. But the day of nationals is more than just having fun, it’s about winning. “My biggest fear is that a rocket explodes on the pad for the team’s one shot,” said Osmolinski. For that reason, the club builds back-up rockets, to ensure they are prepared. They are not only prepared with their supplies, they are prepared mentally. “I tend to worry about particular details but I constantly remind myself that the rocket kids know what they are doing and make good decisions all the time. It’s in their hands. I have equipped them with all the tools they need. It’s up to them to make it happen,” stated Osmolinski. According to Osmolinski, the students are a bit nervous preparing for nationals, but they are also very excited. They only have one shot, and hopefully they will soar. Space, the final frontier. 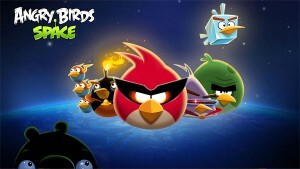 But for Angry Birds creator Rovio, space is a whole new horizon. Angry Birds Space is the new title from the meteoric company and it’s showing the same popularity as their past titles, in the first three days after release ABS had already netted 10 million downloads. ABS is the new high flying adventure which places you in the hands of six birds trying to rescue their eggs from the pigs, everything you’ve come to expect from Angry Birds except with on big difference, they’re in space. And this isn’t just a simple re-skin of Angry Birds with a new space background, this takes Angry Birds to a whole new level utilizing small planetoids each with their own gravitational pull so instead of launching birds straight at a structure you may have to send your birds in an arc through two planets or even put them in centripetal orbit until they finally come crashing down. The new game puts you in control of 6 birds, 4 returning and 2 new ones, the basic red bird, the tiny blue bird that can split into three, the large bird now colored green instead of red, and the black bird which explodes on impact. along with these 4 birds the two new birds include a purple one who is much like the yellow bird except this bird changes trajectory to there target and a blue bird who changes all blocks it makes contact with into ice. 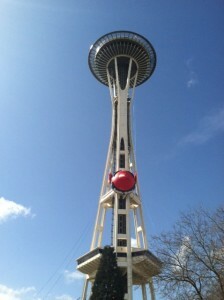 The new Angry Birds has become a hit, with a marketing campaign so huge that even the seattle space needle was rigged up to look like a huge slingshot. With all this mad success and with Rovio now having 4 hit Angry Bird games, three of which still have updates rolling out every couple of weeks the real question to ask is where The next golden egg will come from. Take it with you, use it here, there, everywhere. Portable electronic devices such as tablet PCs aren’t a new thing but the number of people, including students here, show it is a trend. In 1979, Sony unveiled their landmark product the “Walkman,” which allowed people to listen to their music wherever and whenever they want. Since then, these devices have grown into a prosperous market that has captured the public’s heart and wallet. A tablet PC, or tablet computer, is a mobile computer that is larger then a smart-phone or PDA, but smaller then a laptop. Tablet PCs often use a modified version of a desktop operating system, (ex. Windows 7) integrated into a flat touch-screen that can be navigated using either your finger or digital stylus. Additionally, the keyboard appears on-screen, i.e. virtual keyboard. But it wasn’t until recently that tablet PCs became popular. Microsoft released a precursor to the tablet PC in 2001, and unfortunately for Microsoft, it wasn’t successful. Then in the April of 2010, Apple released the Ipad. They sold 14.8 million units and Ipads accounted for 75 percent of all tablet sales that year. Saying that tablets are a trend of the era is a serious understatement, but they are much more than just a trend or fad. Tablet PCs have worked their way into many aspects of everyday life. 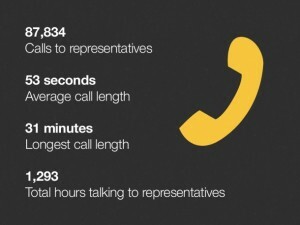 These devices are becoming prominent within businesses and education. iPads, especially have been praised for their use in home-schooling. Tablet PCs are also an ideal substitute for computers and even laptops because of their greater portability and how they retain complex features of a laptop with the simplistic size and functionality of a smart-phone. Although Apple’s iPad seems to be the most popular it is not the only tablet on the market. Many other developers of other electronic devices have joined the competition. Here is a list of other tablet PCs. Sales of tablets have skyrocketed. Apple insider projects that tablets will outsell desktop PCs by 2013. Apple Profits Boosted by iPhone Popularity – What’s up with the Stock Price? After a huge fourth quarter gain for Apple not even Siri can answer why stock prices are so low. Apple, which has positioned itself as the biggest computer and software company in America, displayed an 118 percent jump in net income during the fourth quarter last year. That’s a total of a $13 billion increase, leading Apple to a total revenue of $46 billion for one quarter alone. Not only are prices up but they are soaring. Monday Apple breached the $500 per share mark. Apple is now worth more than $469 billion, making it the most valuable public company in the world by a significant margin. Exxon Mobil, the second most valuable public company, which is worth approximately $400 billion after a weakening in that company’s stock price. 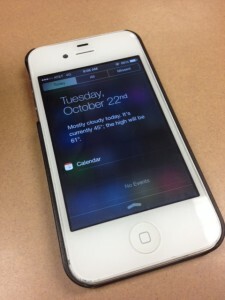 When the iPhone 4S was released in October, it was greeted by critics and consumers alike with very little enthusiasm as it lacked the razzle dazzle of the expected iPhone 5, but the iPhone, along with its communications assistant, Siri, had more than enough market power to carry Apple to another victory over smart phone competitors such as Google and Windows. 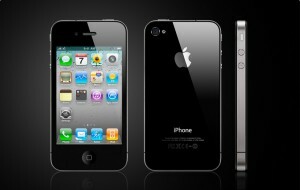 The phone sold over 37 million units in the third quarter, accounting for a large percentage of apples sales. Then why are Apple stocks still below their estimated value? But investors want dividends and that’s holding Apple stocks back, Apple’s growing cash balance is having a huge overhang on the stock market, say experts, Apple is having trouble figuring out what to do with the money. In the meantime, the iPhone’s popularity seems unstoppable. The other big problem is Apple is just getting too big to fast, analysts refuse to believe that a company that barely existed ten years ago is now the second most valuable company in the world. Second only to Exxon, there is just no way Apple can keep growing at a 73 percent annual rate, analysts insist. But with a 118 percent rise since the holidays, even the experts might be wrong.